At Workday, we are in the foxhole fighting the battle for our customers alongside their HR, IT, and Finance teams—in ways that I believe set us apart from the competition. That’s because in today’s economy, customers’ competitive advantage comes from knowing and effectively managing talent—their defining business resources. That’s difficult in a world where business models are constantly shifting, regulatory changes abound (with some threatening serious disruptions), and organizational complexity is increasing.That is what I believe our customer CEO was looking to communicate to the prospect (who has since joined the Workday customer community). I know every enterprise solution provider claims to be a great “partner,” but I would argue that we have a compelling case as to why Workday is different. For one, we all take our cues from our co-founder, Dave Duffield, an extraordinary advocate for customers and employees (unlike I have ever encountered in business). Many know that the Dave “factor” has contributed to the success of several companies in the HCM space, so this should not be surprising. The second, and less-talked-about customer benefit of SaaS, is the symbiotic nature of the relationship between solution provider and customers as a result of the delivery model. It is not a relationship in which software is shipped and maintenance revenue is collected annually. Rather, as a real SaaS provider we must continuously engage with our customers. We have three product updates a year and no customer is ever left behind. We are actively involved in the communication, testing, planning, and updating for each and every customer. This model of frequent updates also allows us to respond to external impacts and customer feedback. Our current customers have a significant impact in the development of our product roadmap. 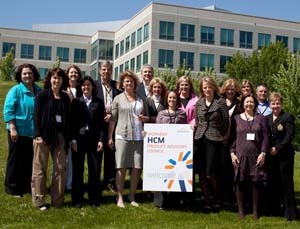 During our HCM Product Advisory Council, we asked our customers about their current challenges. We learned about how they are dealing with changing business conditions; if and how they were looking to grow in emerging markets; and how they are handling growth with continuing cost constraints. We talked about increased regulations, and increased use (for many) of contingent workers. Differentiation of global talent practices to attract and retain the best. Putting workforce intelligence in the hands of the people that need it the most—the business users. Reducing the cost of HR service delivery. Simplifying employee and manager experiences.